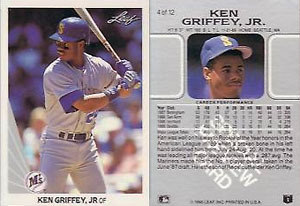 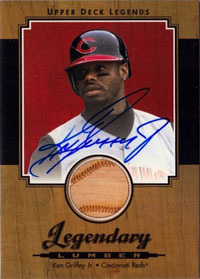 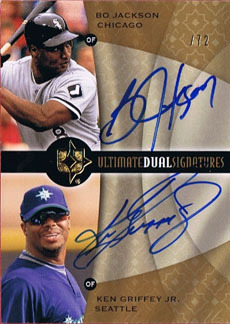 22 Years, 22 Cards, 1 Ken Griffey Jr.
Home » Baseball » Baseball Cards » 22 Years, 22 Cards, 1 Ken Griffey Jr.
After 22 seasons, Ken Griffey Jr. announced his retirement from the game of baseball on Wednesday. 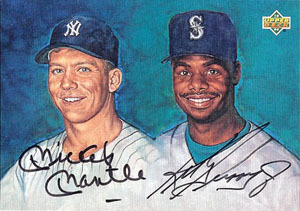 There are those who will ultimately ask the question "what if? 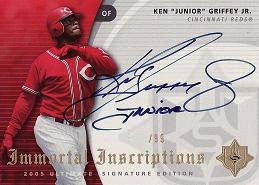 ", a question that asks what type of numbers he could have accumulated had it not been for injuries.Within that very question lies the essence and greatness of Junior. 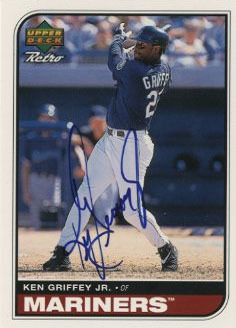 Injuries are inevitable and unavoidable, but unlike nearly every other slugger of his era, he chose not to do steroids to stay relevant in his 30's. 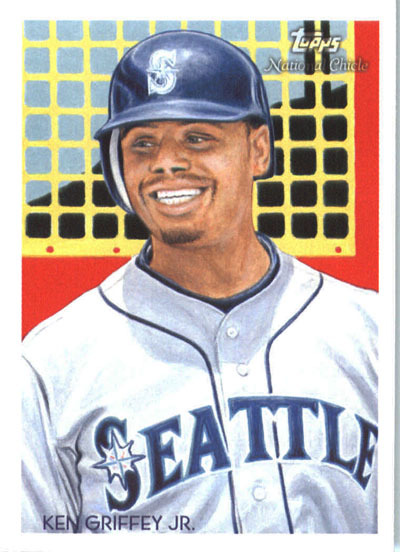 The only "what if?" 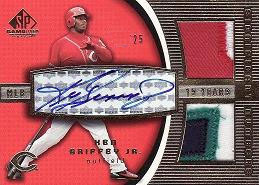 is what kind of numbers he could have put up had he cheated? 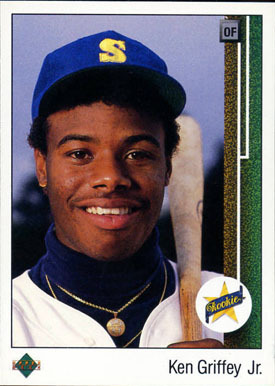 A question that tells you everything you need to know about the greatness of Griffey. 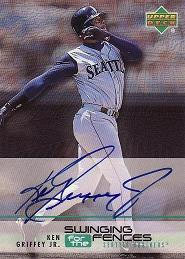 Injuries may have cost Griffey much of the second half of his career, but he gave us 22 years worth of memories that were real and can never be taken from us. 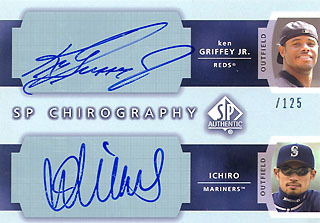 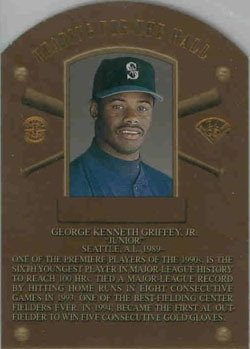 Below, we capture a card from each of Griffey's 22 seasons. 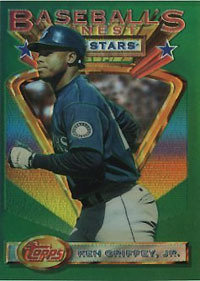 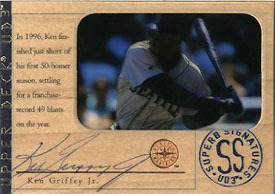 1989 Upper Deck #1 Ken Griffey Jr Rookie SEATTLE MARINERS MINT! 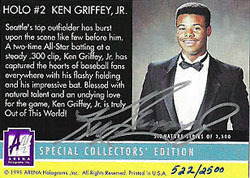 1989 Upper Deck Complete Factory Set with High End set! 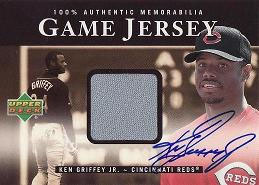 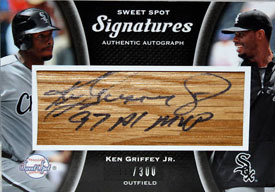 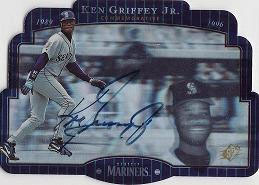 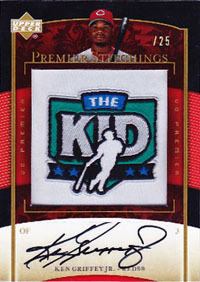 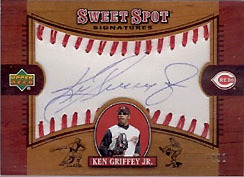 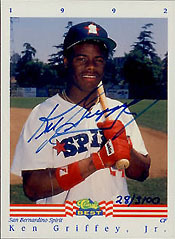 Ken Griffey Rookie Card! 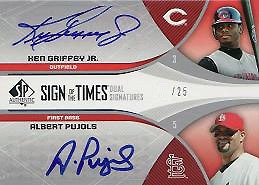 @Vessie: nice call on the Elite!